Our full-time, on-campus Master of Industrial and Labor Relations (MILR) program is ideal for career-driven professionals interested in the human side of organizations and the workplace. It is a two-year, leading degree program in the area of human resources and labor relations. This program will provide you the opportunity to customize your academic experience; acquire relevant and practical knowledge from expert faculty in their fields; and gain access to our employer and alumni networks, who actively recruit our graduates for career placement and advancement. Concentrations include: Human Resources and Organizations, International and Comparative Labor, Collective Representation, Dispute Resolution, and Labor Market Policy. 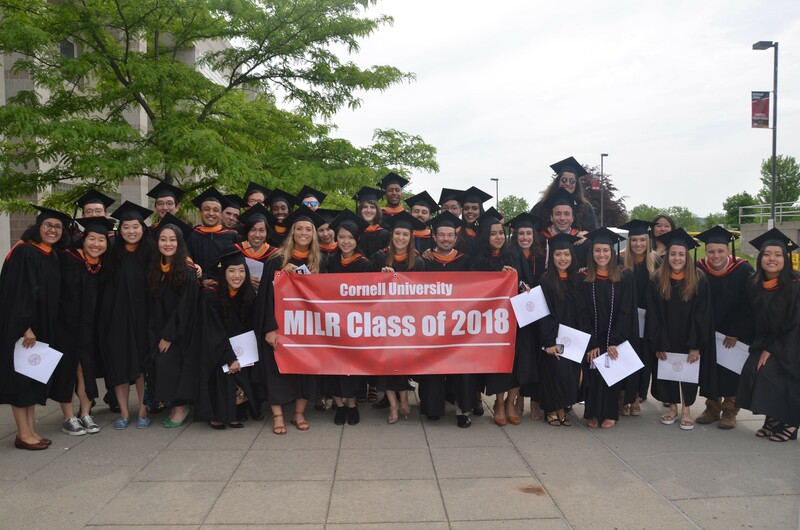 *Courses offered by the ILR School and the 14 other colleges at Cornell provide an opportunity for cross-disciplinary work. 3 or more credits. Courses that carry less than 3 credits do not count unless combined with another less-than-three credit course. Such instances will count as 1 course and must be taken for credit. Ellie Chen, MILR '18, shares her experience in the MILR program. David Alatorre López, MILR '20, shares his experience in the MILR program. Ethan Erickson, MILR/MBA '19, shares his experience in the dual MILR/MBA program. Sabrina Williams, one-year MILR '19, shares his experience in the MILR program. What do ILR students do after graduation? There are many job and career field options available to those who earn a degree from the ILR School, including corporate HR, labor relations, labor, government, law, non-profit, consulting, and financial services. Results are available from the most recent surveys of postgraduate activities of MILR degree recipients. Download the 2017 post-graduate report (PDF, 872 KB) to learn more. Click here for more post-graduate data.